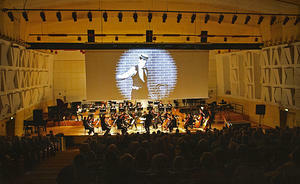 Rick Benjamin conducts a chamber orchestra accompanying a Buster Keaton comedy. Having conducted orchestras for more than 650 silent film screenings across the U.S. and Europe, Rick Benjamin is the leading expert in the field, and the last of the real “Movie Palace Maestros.” Now, let him help your orchestra enter or further explore this incredible world of musical and visual artistry. 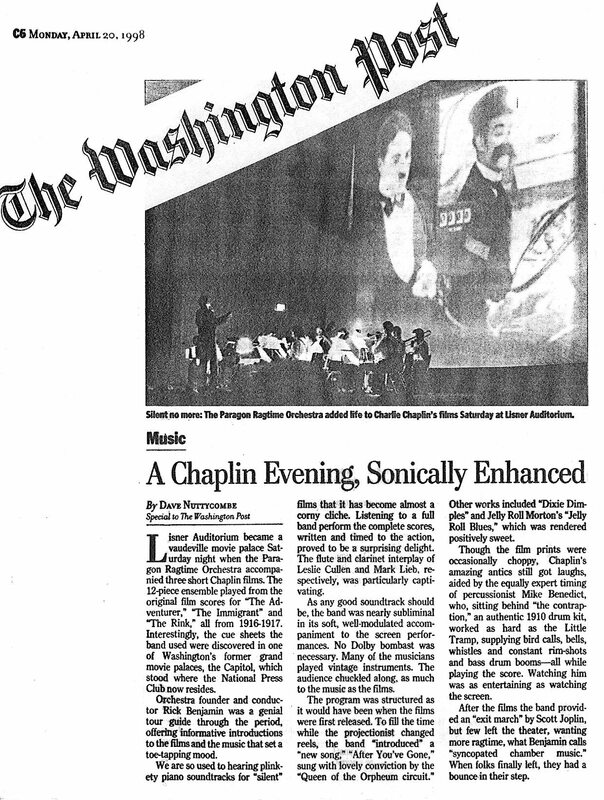 Rick’s collection of historic silent film scores is legendary (more than 900 titles), his film library formidable, and his ability to curate, host, and conduct film-with-orchestra events second to none. Audiences love it! Charlie Chaplin: The Pawnshop, Easy Street, The Adventurer, The Rink, Behind the Screen, One AM, The Immigrant, and Easy Street. Buster Keaton: The Blacksmith, Cops, The Playhouse, The High Sign, and The Haunted House. Harold Lloyd: Never Weaken, Get Out and Get Under, Haunted Spooks, and High and Dizzy. The Mark of Zorro (Douglas Fairbanks, 1920) – The silent original – Hollywood’s very first Action/Adventure movie! Doug Fairbanks thrills audiences with swordplay, romance, and just a bit of comedy. The General (Buster Keaton, 1927) – A story of “Love, Laughs, and Locomotives” – Buster Keaton’s Civil War railroad epic inspired by the Great Locomotive Chase. World famous, and rightly so. The Kid (Charles Chaplin, 1921) – The Tramp adopts an abandoned child, and the two set off on a series of adventures. Sweet and funny, with touches of high drama. Steamboat Bill, Jr. (Buster Keaton, 1928) – Keaton, as the hapless son of a Mississippi riverboat captain, tries to learn the family business. Extremely funny, with a fantastic cyclone finale! The Great Train Robbery (1903) – from Thomas Edison’s Laboratory; the first Western! The Weak-End Drivers (1926) – starring comic Larry Semon: hilarious antics with cars, trains, motorcycles, and planes! The Night Before Christmas (1906) – also from Edison’s Laboratory; one of Santa's first film apperances. More films available on request – Inquire! Learn more about presenting silent cinema: Call or write for your free copy of Rick’s new album The Pioneers of Movie Music or his DVD of the world’s first action/adventure film, THE MARK OF ZORRO with its original 1920 orchestra score! © Rick Benjamin. All rights reserved.